· The new Lincoln MKS full-size luxury sedan aims to attract new buyers with its timeless design, fuel-efficient powertrain and an unparalleled suite of features and technologies.· Class-leading convenience features include SYNC™ voice-activated, hands-free in-car communications; EasyFuel™ capless fuel filling; THX-certified audio; SIRIUS Travel Link™; voice-activated navigation; and a next-generation keyless entry keypad. · Lincoln-exclusive fuel-efficient 3.7-liter V-6 and all-wheel drive provide smooth driving. · Lincoln MKS will be the first vehicle to offer Ford's new gasoline turbo direct injection engine technology – which provides the power and torque of a V-8 engine with the fuel efficiency of a V-6 – less than a year after launch.· An outstanding value starting below $38,000, Lincoln MKS orders are now being accepted; customers can visit http://www.lincoln.com to build and price their vehicle. 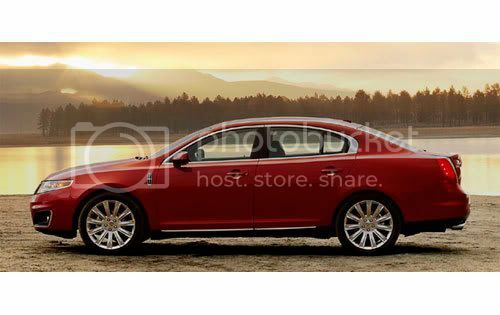 The all-new 2009 Lincoln MKS full-size luxury sedan debuts today, providing customers understated style, first-of-a-kind convenience features, advanced safety and one of the best values in the luxury market. Unveiled at the Greater Los Angeles International Auto Show, the new Lincoln flagship is designed to help fuel Lincoln's growth by attracting new customers. "Lincoln has reestablished itself as a quality and design leader with award-winning products like the Lincoln MKZ, MKX and Navigator," says Mark Fields, Ford Motor Company's president of The Americas. "With the Lincoln MKS, we are raising the bar even higher with unparalleled amenities and performance, and a price that should be irresistible to luxury customers." 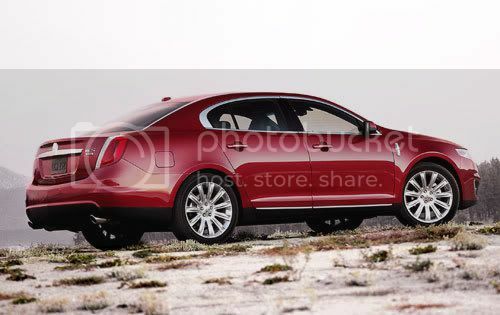 The Lincoln MKS is a full-size luxury sedan aimed at bringing new and younger buyers into the Lincoln fold. Not traditional luxury buyers who shop based on name and price tag alone, Lincoln MKS customers are under 50 and value beautiful modern design, more fuel efficiency and good value. Pricing for Lincoln MKS starts at less than $38,000, a strategic move aimed at attracting new customers to the brand. Many will be first-time luxury buyers, with a significant number expected to migrate from imports. In fact, up to 60 percent of those buying the luxury sedan are expected to be new to Lincoln. "We're playing to win with the Lincoln MKS, especially in California, where more luxury vehicles are sold than anywhere else. We will do so by offering confident, understated, respectful luxury – not something that will go out of fashion in a year or two," said Mike Richards, Lincoln General Marketing Manager. "We're also making an extra effort to reach out to African American and Hispanic buyers who want and deserve luxury in their lives, in part, through new marketing relationships with artists Common and Juanes." Juanes, a 12-time Latin Grammy award winning artist, will help introduce SYNC, which is standard on Lincolns and widely available on Ford and Mercury products, to the Hispanic market. Juanes was recognized by Time magazine as one of the "100 Most Influential People in the World" for his belief in the possibility of social change through music.Common, an accomplished musician, children's author and actor, will represent Lincoln beginning in 2008. The partnership will feature multiple levels of advertising, marketing and promotional activities between Lincoln and Common's wide-ranging businesses and his community service program. Common is currently appearing in the Russell Crowe and Denzel Washington in the Ridley Scott-produced film American Gangster. 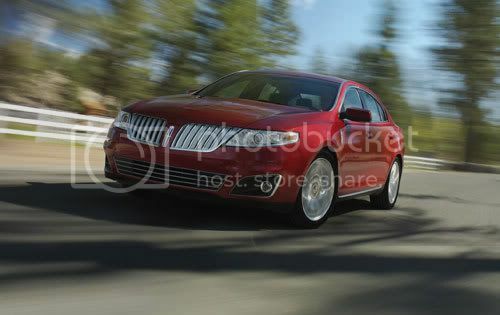 Consumers can visit http://www.lincoln.com to build and price their ideal Lincoln MKS and place their order at their local Lincoln dealer immediately. To be built at Ford Motor Company's Chicago Assembly Plant, the Lincoln MKS will begin arriving in Lincoln showrooms next summer. · SYNC, a hands-free, voice-activated hands-free in-car communication and entertainment system developed by Ford and Microsoft. The system fully integrates most Bluetooth-enabled mobile phones and digital media players, providing customers hands-free cell phone and music selection capabilities. · THX®-certified audio system with 5.1 Surround Sound, SIRIUS Travel Link™ and Voice-Activated Navigation, which provides superior sound quality – plus real time traffic updates, movie listings, Doppler radar weather forecasts and even directions to the closest local gas stations with the best prices. · Lincoln's Next-Generation Keypad, which uses heat-sensing technology to bring alive the keypad of LED backlit numerals embedded in the driver side B-pillar. The driver enters a five-digit code to unlock the vehicle.· EasyFuel™ Capless Fuel-Filler System, a customer convenience that helps reduce evaporative emissions that create smog and global warming. When fueling is completed, and the nozzle is removed, the system automatically seals shut. · Adaptive Cruise Control (ACC), which allows the driver to set the car's speed and maintain that speed without using the accelerator pedal. The radar-based system also can monitor the vehicle in front (up to 600 feet) and adjust the speed of the Lincoln MKS to keep it a safe distance behind the lead vehicle. Four settings accommodate different driving styles. · Intelligent Access with Push Button Start, which is a first for Lincoln and allows the driver to enter the Lincoln MKS and start the engine without using a key. Drivers simply carry the special fob as they approach the vehicle, touch the keyless entry pad on the B-Pillar, open the door and with the brake pedal engaged, start the engine by pushing a button. · Adaptive Headlamps with Automatic High Beams and Standard High-Intensity Discharge (HID) lamps, which enhance nighttime visibility by illuminating more of the road and reducing glare from oncoming traffic. Sensors monitor vehicle speed and steering wheel input engaging electric motors that pivot the left headlamp up to five degrees and the right headlamp up to 15 degrees to increase the driver's field of vision. Plus, automatic high beams switch to high intensity when no other vehicles are detected. · Rain-Sensing Wipers, which are moisture-activated and programmable. · Forward Sensing System, which determines how close front objects are while parking. · Rearview Camera System, which is mounted beneath the Lincoln Star on the decklid and activated when the vehicle is shifted into reverse, giving the driver a view of what's behind the vehicle. The system works in conjunction with the vehicle's reverse sensing system and uses the navigation screen as a display. Lincoln MKS debuts new design DNAThe Lincoln MKS is the first vehicle to embrace Lincoln's new design DNA. "Every element of this luxury sedan reflects the culture of Lincoln – from its well-proportioned athleticism to the design cues we have painstakingly developed, modernizing the best elements over time," says Peter Horbury, executive director of Design for The Americas. Its most striking exterior design feature is its double-wing grille, which sweeps up into the jewel-like headlamps, wrapping around the front fascia and forming a sharp crease that defines the high beltline. A subtle kick-up over the rear wheel calls back cue found on many classic Lincolns. Strong shoulders, dramatic C-pillars, clean body sides, a tall rear deck and large wheels and tires lend the Lincoln MKS a confident stance. Modern luxury carries through inside, as well. Space is abundant, with a class-leading interior package. 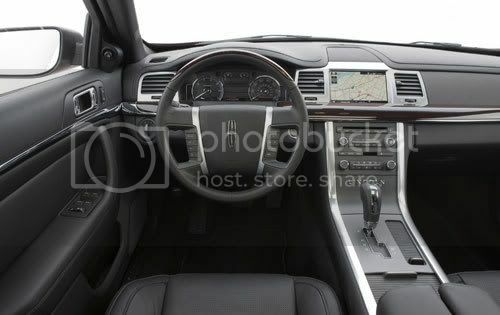 In fact, the MKS has the largest rear cabin in its class in every important dimension, including head, leg and shoulder room. And Lincoln tends to passengers' comfort with standard heated rear seats, an overhead skylight and a sun shade for the backlight. Its interior is sleek. For instance, the Lincoln MKS's symmetrical instrument panel has fewer break lines than other luxury vehicles. The flow-through center stack is clean and uncluttered, with an information screen integrated at the top. The large center console has a split, two-piece, padded upper section. Each section slides forward individually to form an armrest. "Luxury buyers still expect rare beauty, but today, they also seek authenticity," Horbury said. "This is space Lincoln can rightfully reclaim, given the design of our vehicles and the way we've chosen to adorn the MKS with the finest real leathers, rare woods, real aluminum and chrome accents – in a more environmentally responsible way". For example, the leather used for the seats is perfected with vegetable dyes and a chromium-free tanning process to create the softest leather ever used in a Lincoln. It is supplied by Bridge of Weir Leather, the same company that provided hides for the Ford Model T and the iconic Continental Mark II, as well as the Concorde, the Queen Elizabeth 2 and the Burj Al Arab, the world's first 7-star hotel. Ebony wood used for some models is reclaimed from furniture makers and others sources, offering a rare wood with minimal environmental impact. Also offered is Olive Ash, a wood with a distinctive grain pattern created when the roots of two trees grow together. The Lincoln MKS is powered by a Lincoln exclusive new 3.7-liter V-6 engine. The powertrain has been derived from the proven 3.5-liter V-6 found in the Lincoln MKX, which was voted one of Ward's 10-Best Engines for 2007. Both engines share the same strong, die-cast aluminum block and lightweight four-valve heads for smooth operation at high RPMs. The 3.7-liter's larger cylinders contribute to the increase in horsepower and torque. This engine delivers 270 horsepower and 265 lb.-ft. of torque and is mated to a 6-speed automatic transmission with SelectShift that delivers smoother shifts, better fuel economy, acceleration and the option to manually select gears. "This engine is tuned to maximize the increased torque to improve performance where it's needed most – standing acceleration and passing," says Michael Celentino, chief engineer. Less than a year after launch, the Lincoln MKS will be the first vehicle to offer Ford's new gasoline turbo direct injection engine technology. The premium engine – which offers the power and torque of a V-8 with the fuel efficiency of a V-6 – will make the Lincoln MKS the most powerful and fuel-efficient all-wheel drive luxury sedan in the market. Lincoln MKS also is available with an all-wheel-drive (AWD) system that provides a confident driving experience in all weather. It uses a sophisticated system of clutches to quickly distribute torque between front and rear wheels – up to 100 percent in either direction – to avoid wheel slip. The AWD system works with the standard Advance Trac® stability control system to provide additional stability, transferring torque from side-to-side. An all-new independent rear suspension design features vertically mounted shock absorbers mounted at the outboard end of the suspension arms near the wheels, maximizing suspension travel and allowing for more precise suspension tuning. The MacPherson strut and rear-facing L-shaped lower control arm front suspension also was designed to maximize suspension travel and tuned to work in harmony with the rear suspension. As an added benefit, the new suspension design can accommodate larger, 20-inch wheels and tires without compromising ride comfort. The Lincoln MKS comes standard with 18-inch bright, machined, cast aluminum painted 10-spoke wheels. Nineteen-inch 10-spoke painted, polished or machined aluminum or a class-exclusive 20-inch, 11-spoke, highly polished, cast aluminum wheel are available options. The Lincoln MKS is equipped with a comprehensive package of the latest in active and passive safety features to provide the highest level of protection for all occupants. Dual-stage driver and front passenger air bags, safety belt pretensioners, load-limiting retractors, driver seat positioning sensor, side air bags and Safety Canopy™ side curtain air bags with roll-fold technology and four-wheel ABS brakes. Additional standard safety features include an anti-theft perimeter alarm, Battery Saver, Belt-Minder®, Child Safety Locks, glow-in-the-dark trunk release, illuminated entry, LATCH (Lower Anchors & Tethers for Children) and a tire pressure monitoring system. Ford is pitting the Lincoln MKS against the Lexus GS 350 and the Cadillac STS. The base FWD 2009 Lincoln MKS will start at $37,985, including a $750 destination charge. The base AWD 2009 Lincoln MKS will start at $39,855, including shipping. Ford pricing spokesperson Lydia Cisaruk said a "well-equipped" MKS will cost less than $50,000. In comparison, the 2008 Lexus GS 350 starts at $44,915, including a $765 destination charge. The Cadillac STS starts at $43,245, including a $745 destination charge. But both of those competitors outstrip the MKS in terms of horsepower.